Convenient simple operation and easy to read LCD display. Auto Off (default): 30 seconds off. 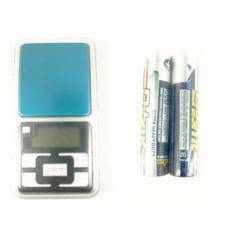 Electronic pocket scale MH Series. The offered scale is designed using premium quality material and sophisticated tools under the guidance of skilled professionals. It is tried on various stages by our quality controllers, as per the set industrial norms. This scale is used for measuring weight in grams, ounces and small unit of items like gold, silver, platinum, etc..
Top protective cover also becomes a sturdy tray. It includes 1 weighing scale and 2 batteries. nice scale, not much to write about it but its ultra accurate.